BWB is on the hunt for former District school players. Visit our BWB old boys page to see if you recognise any of the BWB legends! 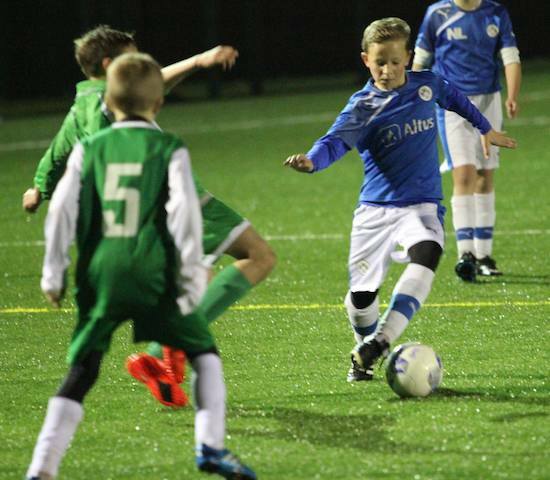 ESFA festival action shots. Thanks to Gary Perry for some amazing shots! VS Basingstoke The sun Shone as Simon’s team kicked off against Basingstoke as BWB instantly took control of the game by playing the ball well and scoring a goal. But BWB didn’t let it drop as they began to put Basingstoke under pressure which led into another goal. 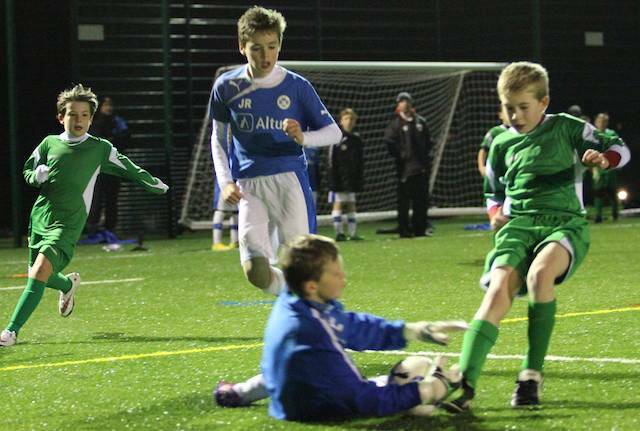 Now BWB were really on top as they began to play some great football with good play from Archie Harding and Joe Porton. BWB started the Second half with a couple of sloppy passes in the first five minutes but soon cut it out and went on to win 6-0. VS Yeovil This was by far the toughest game of the tournament for BWB but they came out very strong and showed great football as they began to pass the ball around well and had a couple of very close attacks when they played the ball well around the box until Joe hit a good strike into the roof of the net to give them a 1-0 lead. BWB came out well to the second half but unfortunately didn’t attack as well as they should have which led to a Yeovil goal. Instantly Yeovil began to pressure BWB into passing the ball back to Chris who unfortunately gave away a penalty and Yeovil scored but BWB didn’t let there heads drop as Aiden hit a strike which brought it back for BWB which is how the game ended 2-2. VS BWB! The final game for BWB was against the other BWB team which wasn’t taken too competitively (except by the coaches!). Some players did still want to win and it was the other BWB team who won it with a close finish of 6-5. Report by Lewis Bahadur and dad! On a day the great British weather decided to pull a fast one with a burst of sunshine early doors, tricking everyone in to leaving thermals at home ,the BWB juggernaut cruised into Frys spots club Somerdale where before the day was done football itself was to throw in a cruel twist . 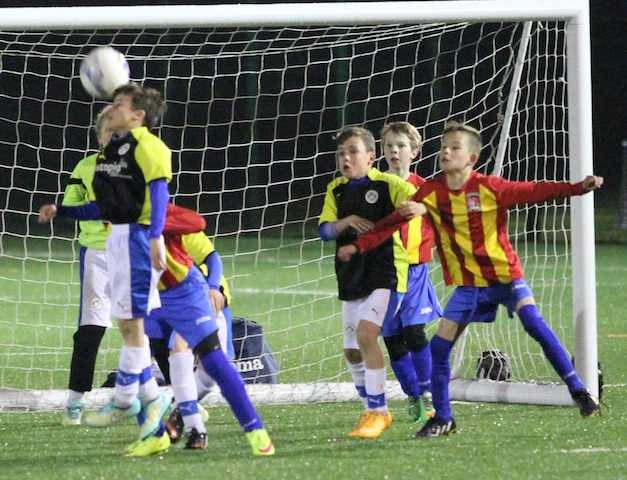 The occasion the ESFA DANONE cup 2015,at stake a place in the national finals! The lads were split into two teams one representing Wiltshire, the other Somerset . For once we seemed to hit the ground running and all got on top of the ball quickly, passing and moving to each other and probing their defence from all angles. Then in the second half we were rewarded for our hardwork with a goal from a stinging shot hit by Niall ,one – nil, and that was how it finished , 3 points and on to the next game . Jersey from the Channel Islands didn’t look like they were here for a jolly and so it turned out to be, a well drilled tight knit skilful side they were more than a handful. We were holding our own until a school boy error at the back ( my bad) which gave the points to them . Our last group game was against Portsmouth SFA Hampshire who had worked out they needed the win to progress and were pumped .We rolled up our sleeves and braced ourselves . They came at us with everything but as well as being physical were also well organised and skilful so we had a real game on our hands (feet ). In the end we defended strongly and had chances of our own but it was Lucas with a superb goal keeping performance which earned the point that would ultimately take us through .. So as news filtered through that our other half had qualified the kiss of death was duly applied with the throw away comment ” Imagine if they had to play each other in the semis “. So Shane returned from the results tent to confirm YES they were going to play each other in the semi s and suddenly you could cut the atmosphere with a knife . By the K.O came around the Somerset parents had been made to feel like the away fans at a Millwall game and were looking for the police horses . But seriously the game was played in great spirits with some fantastic football played by both teams and camaraderie a plenty between all them which showed what a great bunch of mates we have all become . Hand on heart on open play Wiltshire probably deserved to go through but eventually it all boiled down to two sudden death penalties a total lottery that Somerset won . As the top two teams progressed the last game against Jersey was a friendly which played out a goalless draw and that the day wrapped up , a cold but fun time was had by all, BRING ON THE NATIONALS ! Hosted by B93, the 14s enjoyed a fantastic weekend in Denmark in which they played 5 games and saw the sights of Copenhagen.